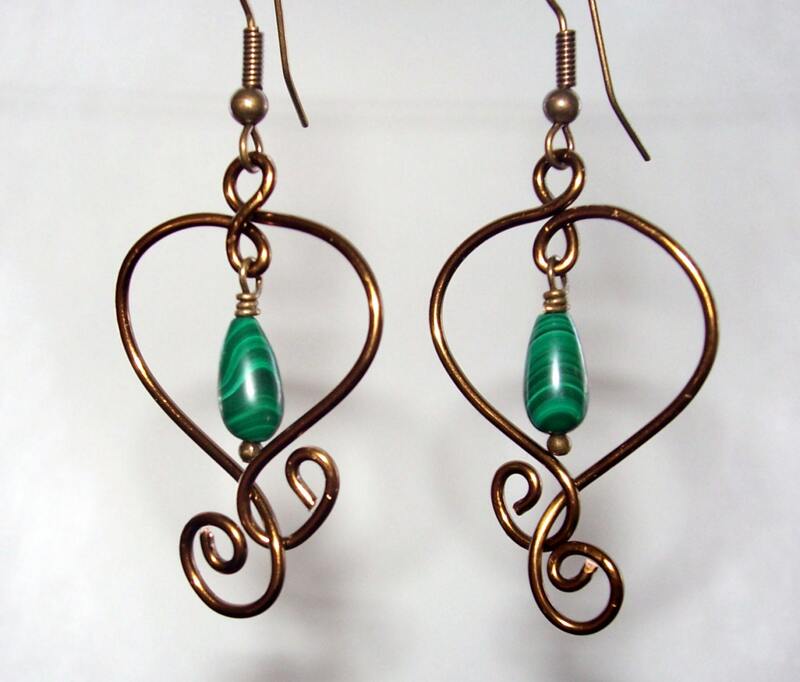 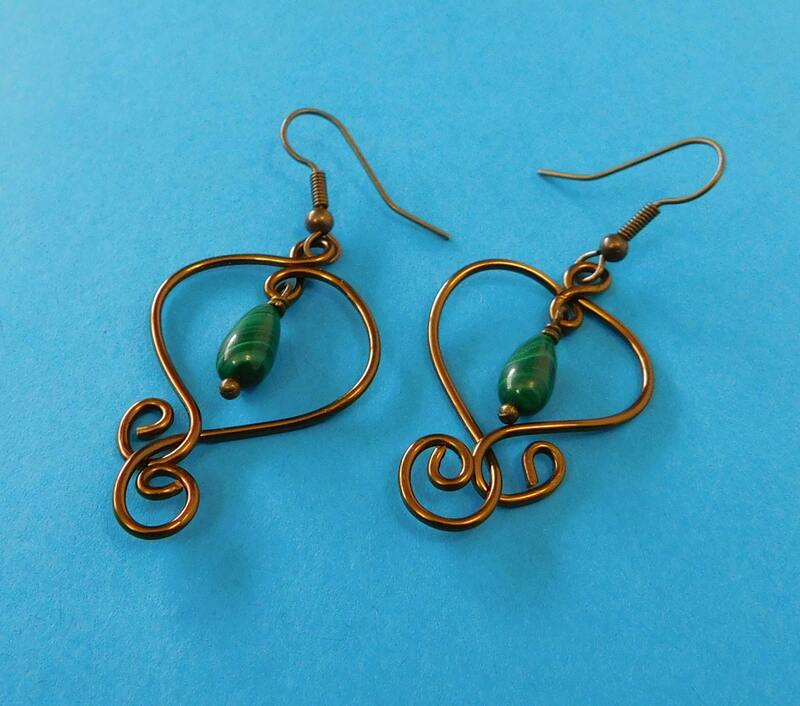 Genuine Malachite teardrops are the focal point in these vintage bronze tone artisan crafted, wire sculpted earrings. 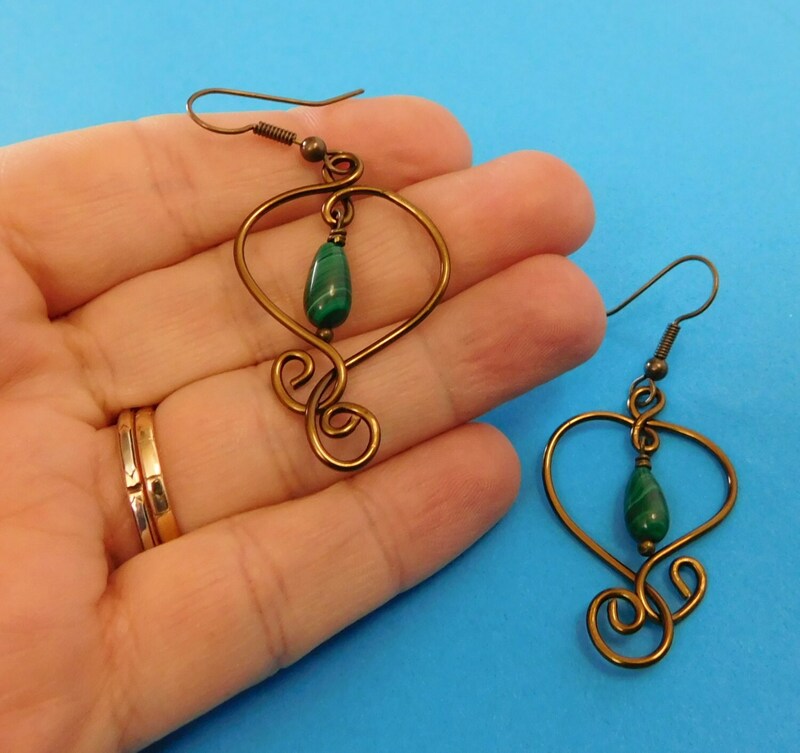 They are individually hand sculpted using non tarnish copper wire. 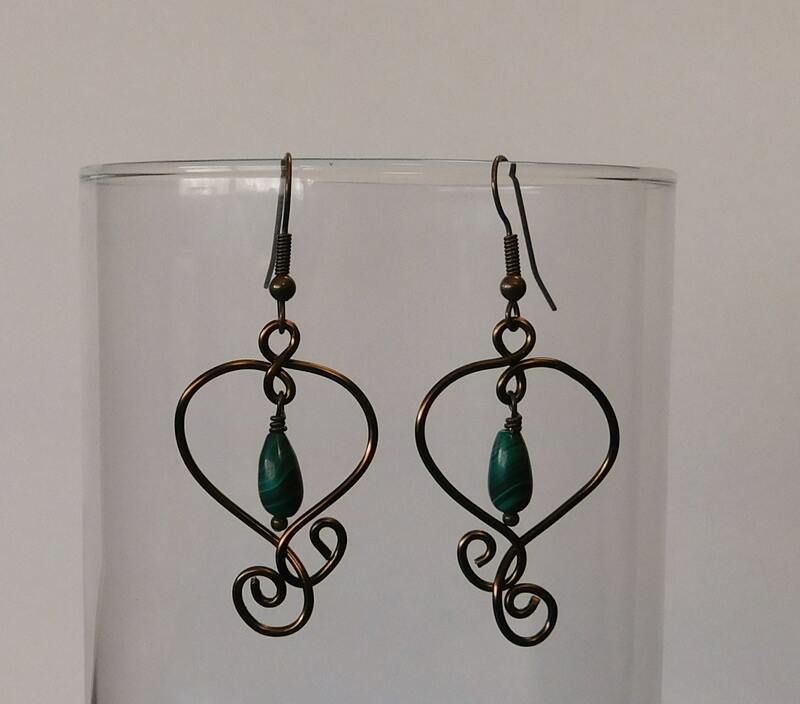 The beautiful green color and unique band inclusions make these earrings interesting and unusual. 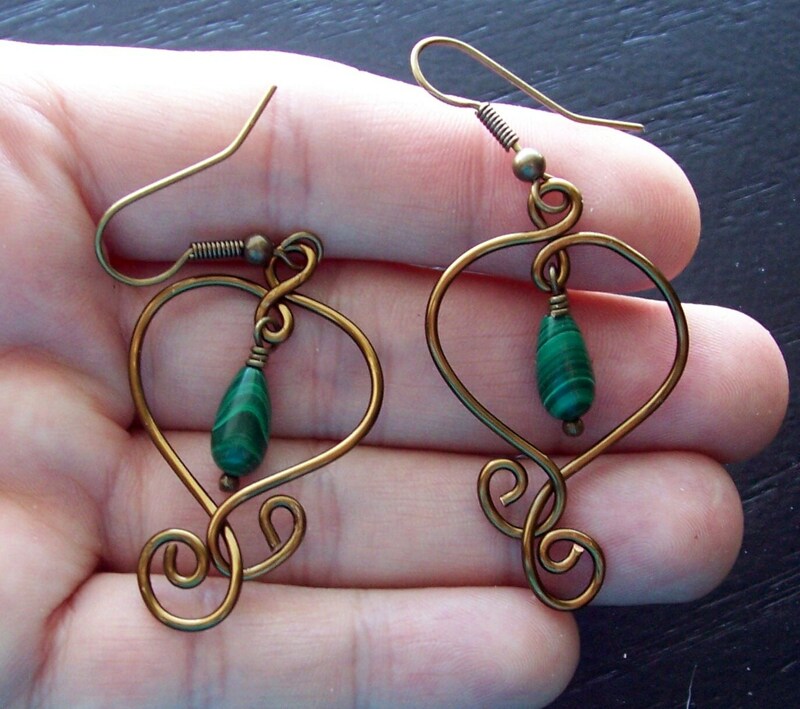 They measure 1 1/2 inches long by 1 inch wide and hang from vintage bronze tone fish hook style ear wires.